Ergo Proxy "The Agent of Death", is a science fiction suspense anime television the complete series, produced by Manglobe (Dante’s Inferno – The Animated Series). It is directed by Shuko Murase (Final Fantasy artworks), with screenplay by Dai Sato (Cowboy Bebop). 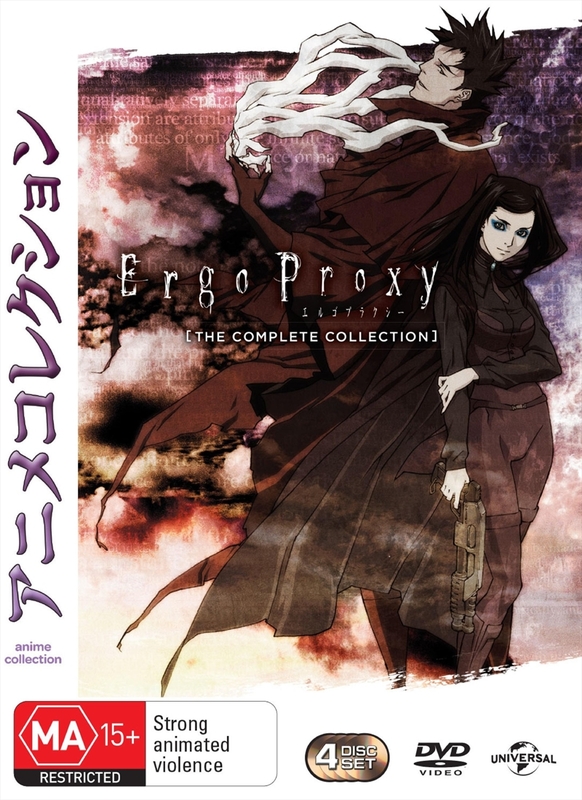 Ergo Proxy has been described as a dark science fiction mystery with philosophical underpinnings. It features a combination of 2D digital cel animation, 3D computer modeling, and digital special effects.